That has long been a favored explanation for eruptions of terrorism. Since the September 11, 2001 attacks, a succession of global leaders—among them Tony Blair, Pope John Paul II, the Dalai Lama, Desmond Tutu, Oscar Arias Sanchez, and Elie Weisel—fastened on poverty, illiteracy, and an absence of education as “root causes” of the violent phenomenon. These arguments remain canons of the conventional wisdom on terrorism a decade and a half later—even though historical and contemporary empirical evidence don’t support such claims. To the contrary, those historically attracted to terrorism have in fact tended to be well educated, financially comfortable, and often gainfully employed. Osama bin Laden obtained degrees in economics and public administration from Saudi Arabia’s King Abdul-Aziz University while ISIS’s Abu Bakr al-Baghdadi has both a Masters and a Ph.D. in Islamic Studies from the University of Islamic Sciences at Adhamiya, a Baghdad suburb. A century ago, Irish Republican Army volunteers in West Cork were “more likely to have jobs, trades, and an education than was typical of their peers,” according to Peter Hart. Similarly, Menachem Begin, a prime minister and Nobel Peace Prize laureate who’d earlier in life led a Jewish terrorist group in British Mandate Palestine, received his law degree from Warsaw University in 1935. Yasir Arafat, Begin’s Palestinian counterpart who was awarded his own Nobel Peace Prize, graduated from Cairo’s Fouad the First University (now Cairo University) and was employed as an engineer in Kuwait before founding al-Fatah. George Habash, the founder and leader of the rival Popular Front for the Liberation of Palestine (PFLP), was the son of a wealthy grain merchant who received his medical degree from the American University in Beirut as did his close friend and collaborator, Wadi Haddad, the mastermind of the PFLP’s most spectacular aircraft hijackings—including the 1976 hijacking of an Air France plane to Entebbe, Uganda. In a study of madrassas (Islamic schools) and lack of education as a putative terrorist incubator, researchers at New America, a Washington think tank, also reached the conclusion that terrorism is not linked to an absence of schooling. Using a database of some 79 jihadis who were responsible for the five most serious terrorist incidents between 1993 and 2005, they found that 54 percent of the perpetrators either attended university or had obtained a university degree. These terrorists, they concluded, “thus appear, on average, to be as well educated as many Americans”—given that only about half of the persons living in the U.S. have attended university. The researchers further noted that two-thirds of the 25 terrorists involved in the planning and hijacking of the four aircraft on September 11, 2001 had attended university. Finally, they observed that the most popular subject amongst those who attended university was engineering, followed by medicine. 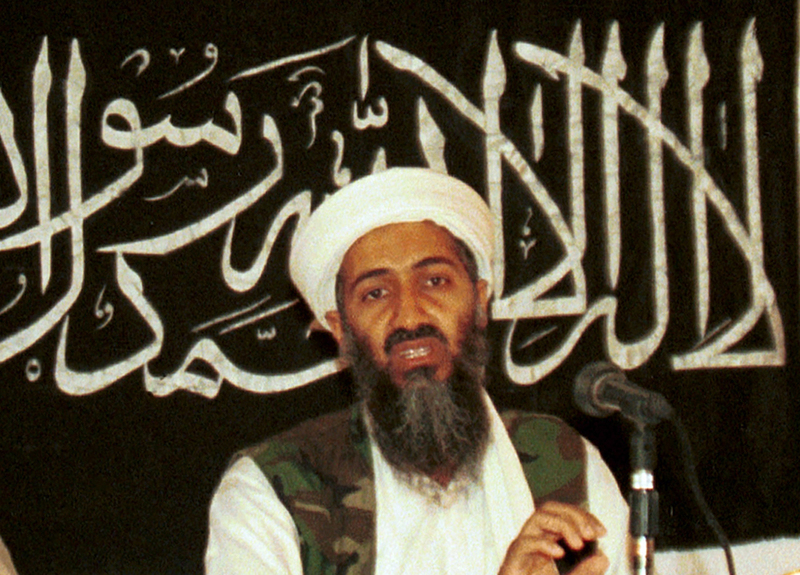 Among the more notorious terrorists with academic degrees in this particular field were Ramzi Ahmed Yousef, the mastermind behind the 1993 bombing of New York City’s World Trade Center, who studied electrical engineering at a technical institute in Wales; his uncle, Khalid Sheikh Mohammad, the architect of the September 11 attacks, who graduated with a bachelor’s degree in mechanical engineering from a North Carolina state university; and, Umar Farouk Abdulmutallab, the so-called “underwear bomber,” a Nigerian national and son of a wealthy banker who tried to blow up a Northwest Airlines flight en route from Amsterdam to Detroit on Christmas Day 2009. His mechanical engineering degree was awarded by University College London—one of Britain’s top universities. The popularity of medicine as a terrorist vocation is, of course, also not new. In addition to the aforementioned doctors Habash and Haddad, Ayman al-Zawahiri, al-Qaeda’s current leader, is a trained surgeon. Some of the best known terrorists in recent years with medical degrees were among the eight persons arrested in Britain following the botched attempt to bomb a nightclub in central London and the dramatic, but largely ineffectual, attack on Glasgow’s International Airport in June 2007. Six of the eight perpetrators were either doctors or medical students; and of the remaining two, one was employed as a technician in a hospital laboratory. … the top leadership and mid-level command strata are populated by the educated … while the majority of foot soldiers are less educated and often from far more modest socioeconomic backgrounds. This counterintuitive conclusion about Palestinian suicide bombers—given the immense poverty and deprivation that continues to define the Palestinian people’s existence—is well supported by evidence gathered by Nasra Hassan, a United Nations aid worker based in Gaza, who has extensively studied the tendency of Palestinian youth to embrace terrorist martyrdom. Writing in The New Yorker shortly after the September 11 attacks, she observed that none of the nearly 250 suicide bombers and would-be suicide bombers she interviewed between 1996 and 1999 were uneducated, desperately poor, simple-minded, or depressed. Many were middle class and, unless they were fugitives, held jobs. Two were the sons of millionaires. Having said all this, it would be wrong to conclude terrorist organizations are populated exclusively by the financially comfortable and educated. Indeed, an inevitable bifurcation generally occurs across all terrorist movements whereby the top leadership and mid-level command strata are populated by the educated (or relatively well-educated) and financially well off, while the majority of foot soldiers are less educated and often from far more modest socioeconomic backgrounds. The reasons why someone picks up a gun or throws a bomb represent an ineluctably personal choice born variously of grievance and frustration; religious piety or the desire for systemic socio-economic change; irredentist conviction or commitment to some utopian or millenarian ideal. The forces that impel individuals to become terrorists are thus timeless. Bruce Hoffman has been studying terrorism and insurgency for four decades. He is a professor in Georgetown’s Walsh School of Foreign Service and serves as director of both the Center for Security Studies and of the Security Studies Program. *Photo by Mazhar Ali Khan/Associated Press.